Scroll down past the map for details about this section of the trail. Click here for the full size version of the map below. Click here for a PDF file of the details. 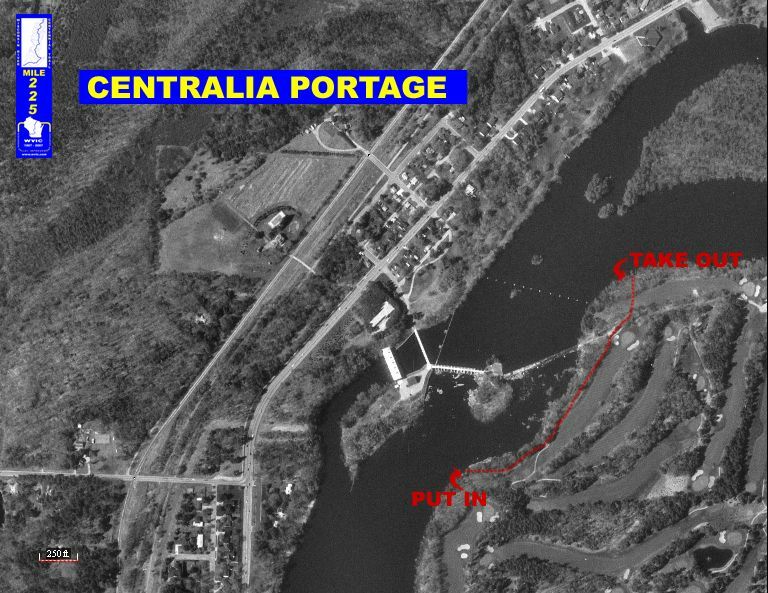 Click any dam symbol on the map below for a aerial photographic detail of portage. 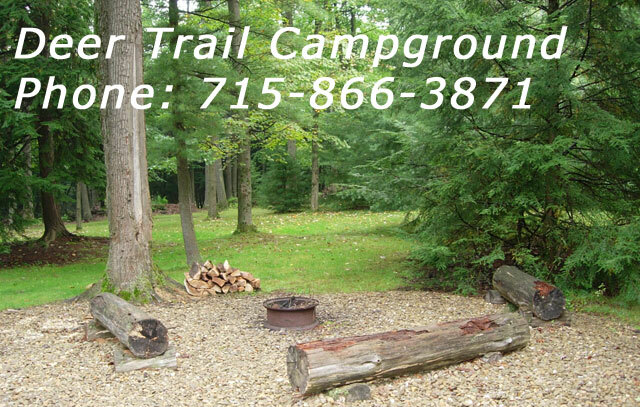 Click any campsite symbol on the map below for a campgrounds information. Mile marker signs on maps correspond with actual signs placed on the river. 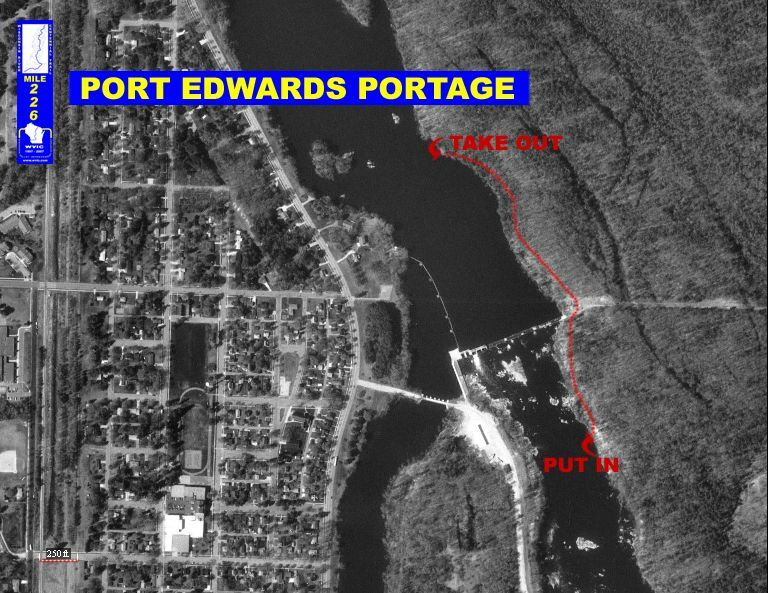 Mile markers are typically located on the right side of the bridges and at portage take out sites. No signs were placed in the field at these locations but they were placed on the map for reference. 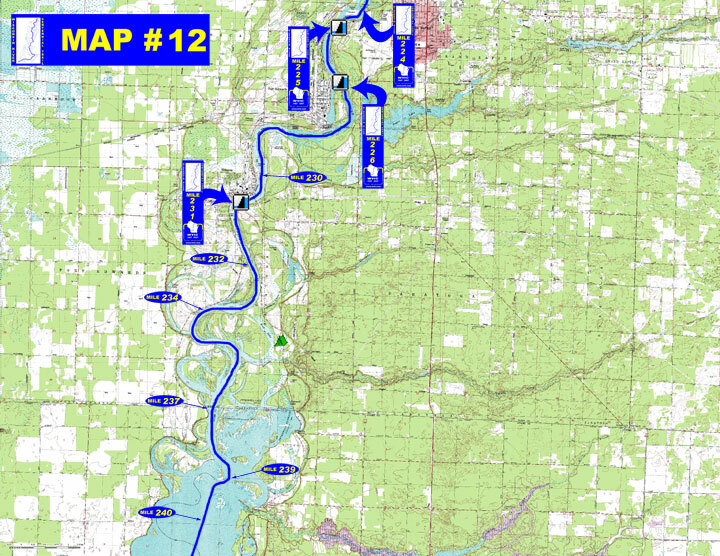 o Miles 226 - 231 (Port Edwards dam to Nekoosa dam) Just below the dam is a rocky rapids before Nekoosa flowage begins. 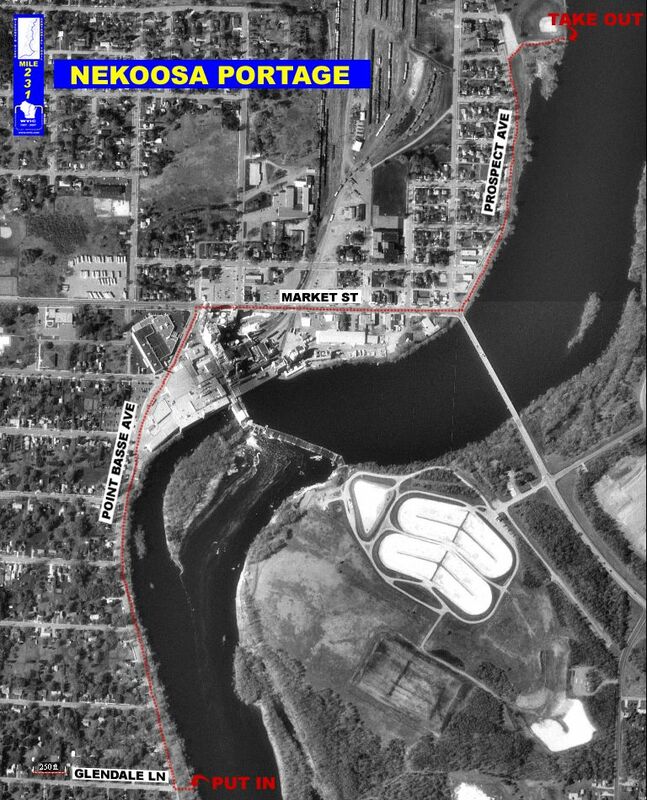 The city of Nekoosa is on the right at the south end of the flowage. 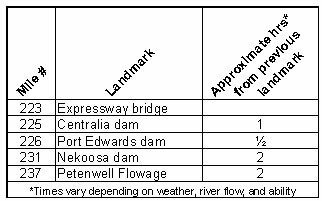 - Flow Information - For flow information on river flow below Centralia and Nekoosa go to http://www.cwpco.com/CWPCoDB/Daily_River_Report.aspx.